The Medical Device (MD) sector is a dynamic market. It is in a state of growth and heavily involved in Health Innovation (diagnosis, surgery, therapeutics, etc.). As a result, the scientific standard of proof has inevitably improved in light of the strengthening of legislation, which is always in the interests of the patient (Directive 2007/47/EC). Unlike the pharmaceutical industry, the heterogeneity of the MD world makes it a complex and specific sector that requires experience and skills to accurately assess its clinical performance. The clinical study of the MD must be adapted not only to its status (i.e. its classification), but also to its development strategy, which should be set out in advance in order to save time when placing it on the market and positioning it. Usage survey / field survey / satisfaction survey, etc. We also place an emphasis on our specialised and recurrent clinical experience in the very specific areas of orthopaedics and dentistry (functional orthodontic appliance, implants, equipment and software). We conduct all clinical studies with the same quality as research into pharmaceuticals, within specific deadlines, and at a cost that is compatible with the MD market. 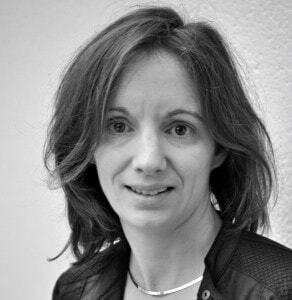 Anne-Laure Sérandour, PhD – your preferred contact person for the clinical evaluation of your medical devices.